SARASOTA, Fla. - May 11, 2016 - PRLog -- Sarasota FL - The Specialized Plumbing Technologies (SPT) staff are currently traveling for four weeks to Nicaragua to volunteer their time by building five houses for a small 25-person community, as part of a mission trip organized by non-profit Waves of Love. 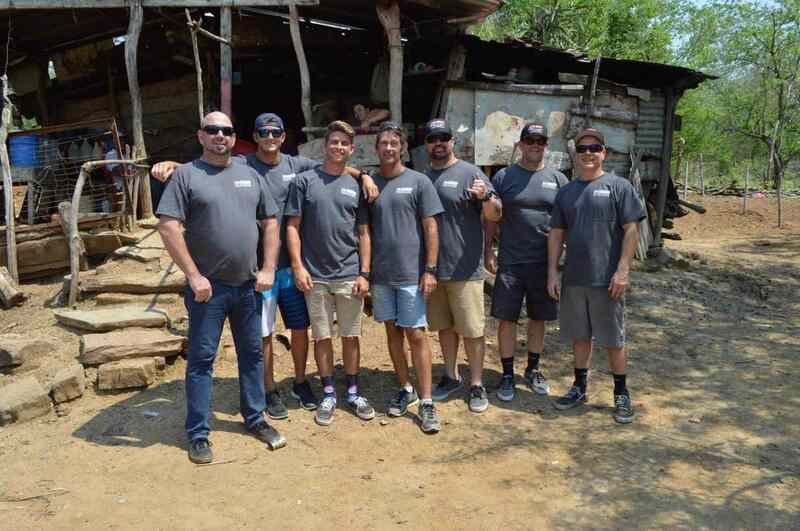 Throughout the trip,eight of the staff members are aiming to build five brick houses from the ground up, an outdoor kitchen and two outhouses. The high temperatures of Nicaragua make clean and safe water a priority. While in Nicaragua, SPT, with funding from Aquam Corporation, will also provide and install an individual water filtration system that will connect to the community's well, providing residents with clean drinking water. The water will be delivered through five taps connected to a 55-gallon barrel that has filtered the well water and will allow clean drinking water for 10-years. "Having the opportunity to give back to a community in need anywhere in the world is a rewarding experience," said Justin Mizell, Executive Vice President, Aquam Corporation. "It allows us to give back, and it challenges our company to work as a team to provide others with basic life necessities." Waves of Love's mission is to help people in need. To achieve this, they focus on community-based efforts to ensure everyone has life's basic needs: food, water, shelter, clothing, and education. To learn more about Waves of Love, visit www.wavesoflove.org. Founded in 1994, as Florida's first underground video inspection specialists SPT continues today as a leader in solving sanitary drainage problems. Utilizing state-of-the-art techniques and equipment, while investing in new technologies the company grew as the largest independent drain lining licensee of Aquam's subsidiary Nu Flow Technologies. In September of 2015, Aquam Corporation - a global clean tech firm that uses environmentally friendly technologies to address the world's aging infrastructure problems - acquired SPT. Aquam Corporation provides infrastructure support, rehabilitation and diagnostics solutions for water infrastructure.